Our sneakers shoes are standard sized. 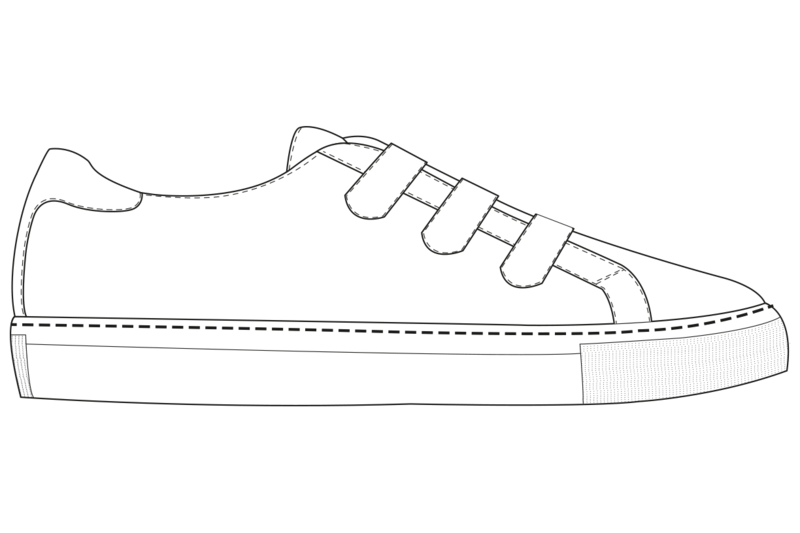 Order your usual shoe size! We recommend waterproofing your shoes as soon as you receive them, and then regularly throughout their lifespan to repel dirt and water stains. This will optimize the lifespan and good condition of the leather. To clean-up and nourish your shoes, use Pied de Biche « Crème de soin » and apply it with a soft cloth. 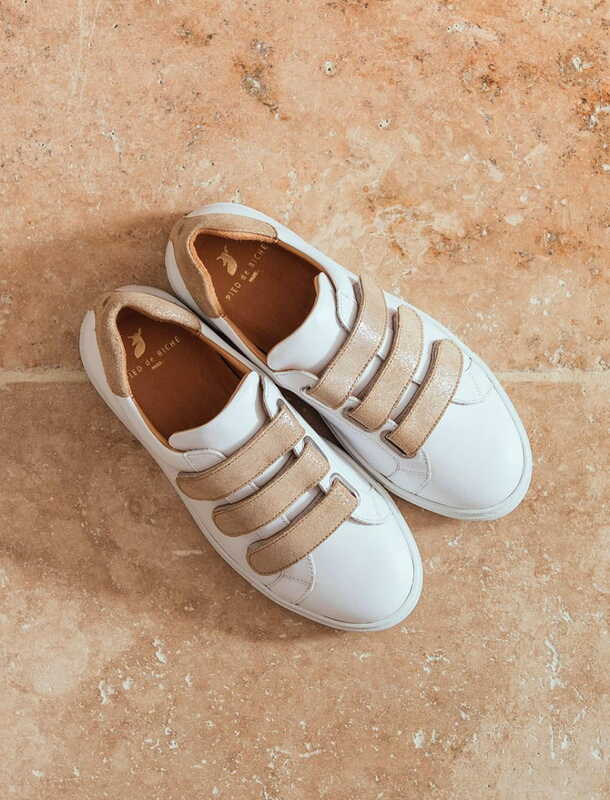 Pied de Biche sneakers can easily be recognized thanks to their contrasting back yoke, matching with laces! 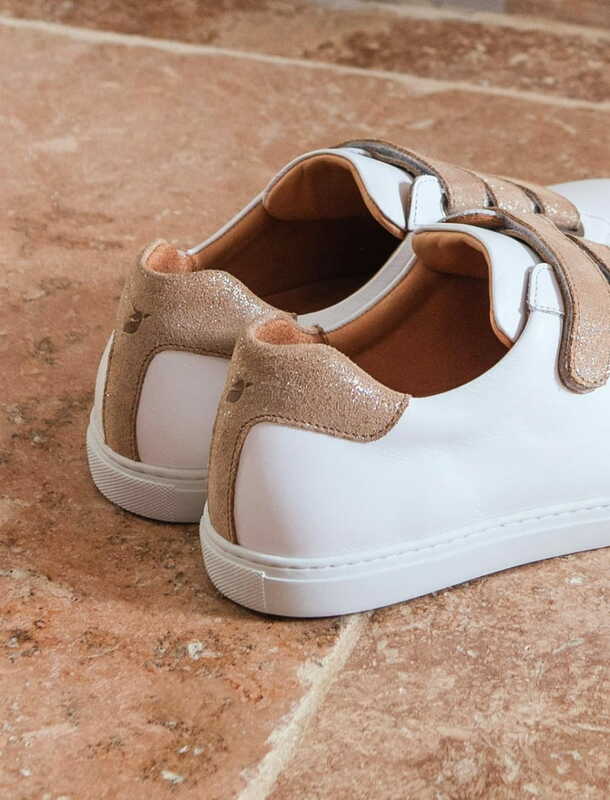 Each Pied de Biche item is lined with full calf leather, a noble hide, proof of high quality and extreme comfort. 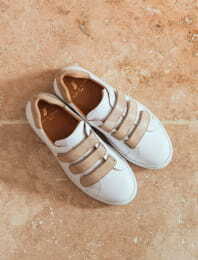 First insole is also fully made of calf leather, and lined with a comfort sole. The leathers used for the shoe upper are most often greased leathers, to better repel water, or sometimes suede. We prefer very natural leathers with a vegetable or semi-vegetable tanning. Light & supple, stick and sewn. Thin and elegant, it will bring you everywhere! 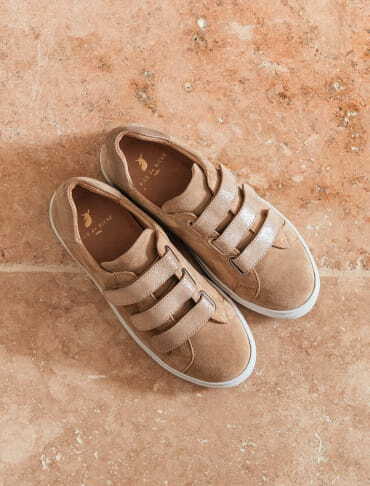 Whether they are made of smooth leather, foal or suede, these sneakers will be the center piece of your wardrobe. 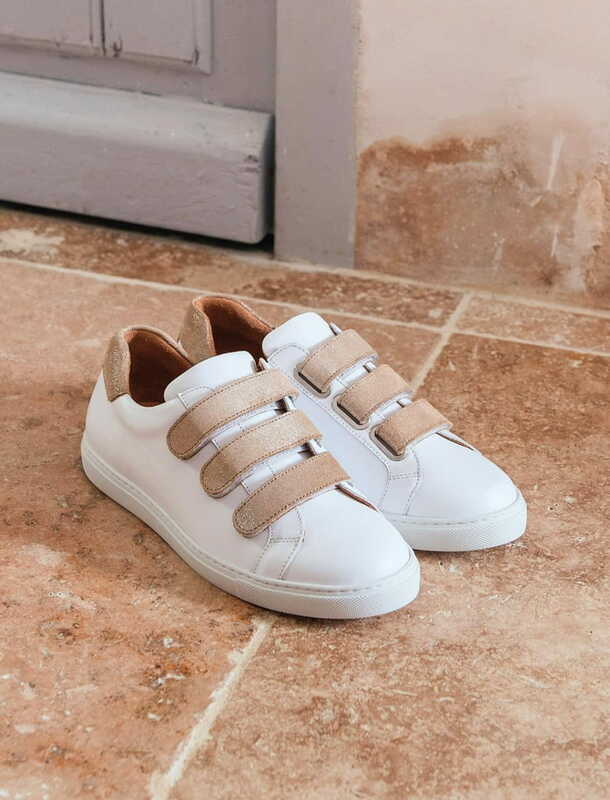 Easy to pull on thanks to the velcro fastenings, they are comfortable, durable and elegant thanks to the special care given to their finishes and choice of materials. It is the skillful combination of different materials and colours that define Pied de Biche’s DNA. It gives a refreshing little touch of fantasy to this great classic! As comfortable as slippers, these sneakers will seduce you for their print detail, which will perk up any outfit. A pretty dress, well-cut trousers, a skater skirt or jeans, do not hesitate, you will not want to go out without them!